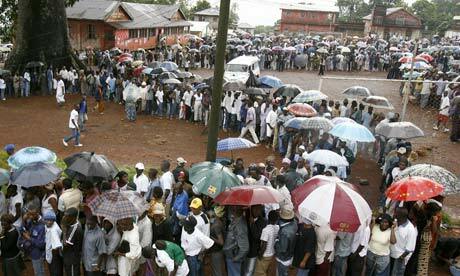 Once in every ten years, the government of Sierra Leone is required to carry out a head count of the entire population. And in three months time – April 2015, every village, town and city in the country, will have its population counted and characterised in accordance with a wide range of social and economic indicators. But, what should be a straight forward and simple exercise is now fast turning into a political farce. The government is being accused by various stakeholders, including civil society groups, of gross political interference and impropriety. The ruling party, critics say, is not only politicising the census process, but is seriously undermining its integrity, simply to gain an unfair advantage at the forthcoming elections which are due in 2017. “As we mourn our compatriots who have fallen victim of the deadly Ebola virus – either as health workers or ordinary citizens, and as we all obey the emergency regulations put in place to contain the virus, the ruling APC party is busy putting in place all sorts of clandestine measures to ensure another rigging of the forthcoming local council, presidential and parliamentary elections. One such means is the 2015 Population and Housing Census. Before the launch of the Census process in 2012, the APC Government under dubious circumstances sacked a qualified Statistician General, and replaced by an engineer who was less qualified to hold such a position. (Photo: Maada Bio). The Government also set up a Census Management Team, comprising of personnel who the APC believes can execute their elections rigging plan. The Census Management Team has in turn recruited known APC party members as District Census Officers. Some of the District Census Officers either contested the 2012 parliamentary elections, or are currently executive members of the APC. There are now plans to recruit Field Officers, Supervisors and Enumerators, and it is becoming clear that the recruitment will be skewed towards members of the APC. Certainly, the purpose of such intrigues is to rig the census in favour of the ruling APC. The Institute for Governance Reform (IGR), a reputable Civil Society Organisation has published the findings of a study, titled: “The credibility of the 2015 Census in Sierra Leone: Will all Heads be Counted”, in the Volume 3 edition of Critical Perspective of Governance – January 2015. The study clearly noted flaws in the census process, which have since then become a national concern. Among other things, it pointed out that there are noticeable biases in the cartographic field mapping as manifested during the Pilot Census. For instance, nearly 50% of the pilot Enumeration Areas (EAs) visited in the South, have less than 60 EAs, whilst 75% of the EAs visited in the North have more than 60 EAs. A study also funded by DFID titled: “Improving the performance of Statistics Sierra Leone” undertaken by Dr. Pepper, identified intrinsic weaknesses in Statistics Sierra Leone, which need to be addressed to enhance its capacity to undertake a credible census. The report defines a management structure for Sierra Leone, compatible with international best practice. The Ministry of Finance and Economic Development set up an interim Committee to look into the DFID-sponsored report. Overall, the interim Committee accepted most of the recommendations. Regrettably, however, the findings and recommendations of the report have been ignored. This has allegedly been the main reason why DFID has refused to fund Statistics Sierra Leone and the Census process. 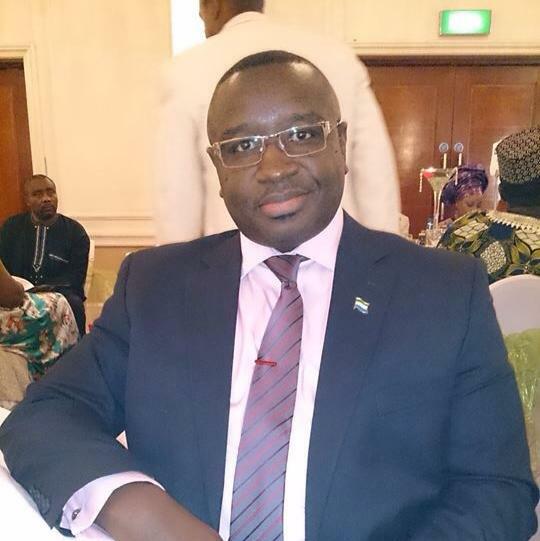 On August 5, 2014, the former Chairman of Statistics Sierra Leone, Mr. Claudius Malamah Thomas, wrote a letter to H.E. President Koroma on the subject “The Governance and Development of Statistics Sierra Leone”. Few months after that letter, the Council was dissolved and subsequently replaced for reasons we cannot fathom. It is now abundantly clear that the process is flawed and incredible. I therefore join my party, the Sierra Leone People’s Party (SLPP) and All Political Party Association (APPA) to call for a postponement of the census process, until Sierra Leone is declared free of the Ebola Virus Disease. Nullify the current Cartographic Mapping and redo another in a transparent manner and involving all political parties. The report of the new Cartographic Mapping should be submitted to stakeholders at district level for validation. Government must implement the recommendations of the study funded by DFID and conducted by Dr. Pepper titled “Improving the performance of Statistics Sierra Leone”. The report defines a framework for a professional and credible census process. Terminate the appointment of all District Census Officers who are known members of the ruling APC, and ensure future recruitment is handled by independent body agreed by all political parties, and devoid of partisan bias.